Do you know how to handle a firearm safely? Do you have a firearm at home for defense of yourself and family? Many Americans do. They recognize their God given right and duty of self defense. However, merely having a firearm available doesn’t automatically mean that you are competent to actually use it. We must remember that with rights there exist corresponding duties and responsibilities. In a future article, the legal requirements for use of deadly force in defense of life will be discussed. It is important that we all follow the rules for safe gun handling. The meaning of "safe direction" is relative. It means that the firearm is pointed in a direction such that if it were to go off, it would not cause injury or damage. As to keeping your finger off the trigger until ready to shoot, producers of television shows and movies routinely show actors violating this rule. As a result, viewers have images of unsafe gun handling practices micro stamped into their brains. Reality Check! Having your finger on the trigger before you are ready to shoot (i.e., you are aiming at the target you intend to shoot) is an extremely dangerous practice. A shooter’s trigger finger should always be kept straight, alongside the frame of the firearm and out of the trigger guard, until you have made the decision to shoot. 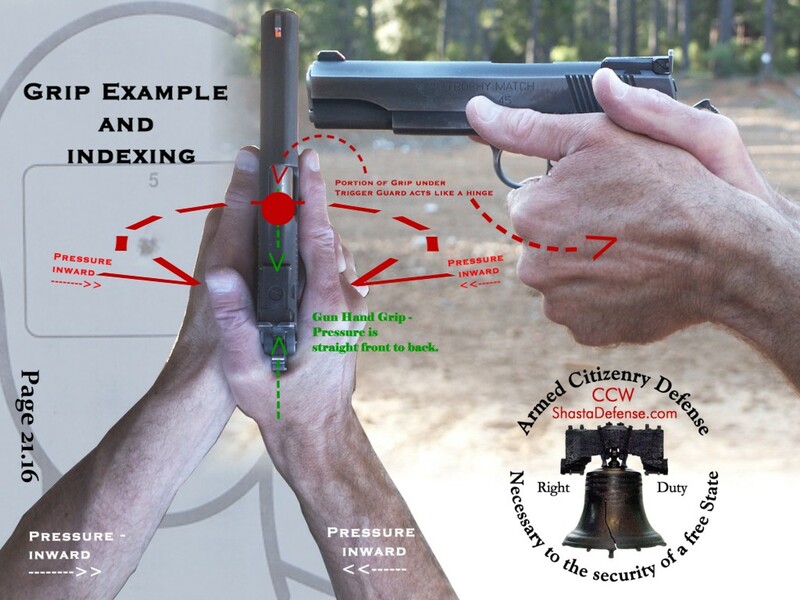 This is also an element of having the proper grip on the firearm (indexing), which will be covered in a later article. Firearms should be kept unloaded until ready to use. Thus, when you are at the shooting range and you and your buddies are going to walk down range to check the targets, your firearms should be left unloaded on the shooting bench. The actions should be open and all magazines out of the firearms. No one should touch anything on or near the shooting bench while anyone is down range. Firearms stored in a gun safe or lock box should generally be unloaded unless the firearm is for personal protection and may need to be accessed quickly for defensive purposes. Next time I will give a brief overview of the Rules for using and storing a gun, which include: "Know your Target and What Is Beyond", and "Store Guns So They Are Inaccessible To Unauthorized Persons".